If you are looking for pre-owned cars in Brantford, visit Budds’ BMW in Hamilton at your convenience. Our Hamilton dealership has a wide inventory of luxury pre-owned cars near Brantford, making it easier for individuals like you to bring home a premium certified BMW automobile. With our competitive prices and affordable financial assistance programs, Brantford residents have never found it to be so easy to find a beautiful pre-owned BMW vehicle. Whether you’re looking for a coupe, sedan, sports car, pickup truck, or a spacious and comfortable SUV, Budds’ BMW in Hamilton can accommodate your needs. Budds’ BMW became a family owned business since 1973, and we’ve been proudly been serving the Halton and Hamilton region ever since. Not only do we understand the ever-changing trends in the automobile industry, but we also understand and adapt to the changing needs and diversity of our communities. When we expanded and opened our Hamilton dealership, we did so because we are passionate about helping individuals and families get behind the wheel of safe, reliable, and luxurious vehicles. We know that choosing a vehicle can be a daunting experience and that affordability is often one of the first elements that people consider when looking of pre-owned cars in the Brantford and surrounding area. However, rest assured, because Budds’ BMW in Hamilton offers competitive pricing and financial assistance programs that will help you bring home your dream car without breaking the bank. Book an appointment online or contact one of our friendly team members who can sit down with you and help you determine how to best fit a certified pre-owned BMW vehicle into your budget without compromising your lifestyle. You can determine your down payment and we can help you determine the best payment options available for you. When looking for pre-owned cars in Brantford, most people also strongly consider reliability and safety. At Budds’ BMW in Hamilton, we ensure that all of our clients will be safe in the premium used BMW automobile, as all of our used cars have been thoroughly inspected by highly skilled auto mechanics before they enter our showroom. In addition to all of our pre-owned cars undergoing in-depth safety inspections, Brantford clients can rest assured knowing that they have access to 24-hour roadside safety assistance. 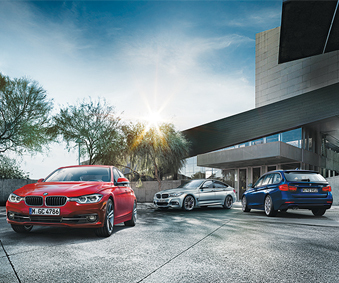 No matter where you are in your luxury BMW car, your safety is in good hands. Book an appointment online or visit our Budds’ BMW Hamilton dealership to test drive any of our premium pre-owned cars. Brantford is just a short distance from our dealership, and we’d be happy to help you get behind the car of your dreams.